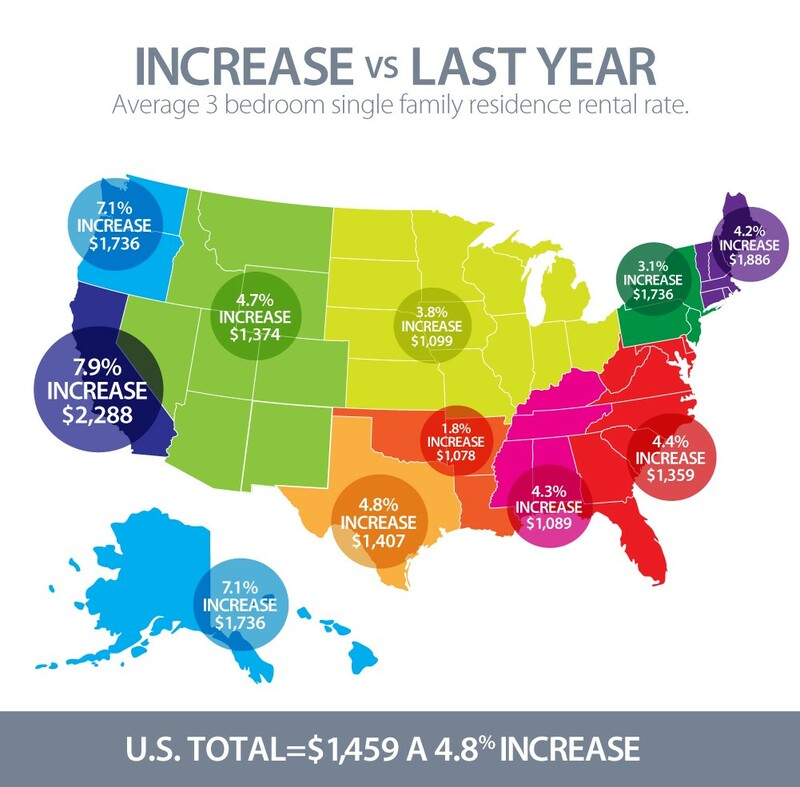 Rental rates continue to rise across the country based on research from RentRange. The national average increase in the rental rate for a three-bedroom single family home was 4.8% year over year. Through the third quarter of 2016, home rental rates increased nationally from $1,393 a year ago to $1,459.